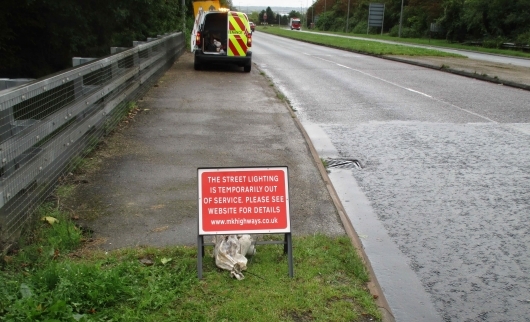 MK Highways together with its term service provider Ringway is carrying out a major works programme to improve street lighting across the borough. This vital work will make sure that lights in both urban and rural areas meet the latest standards, including being more energy efficient. 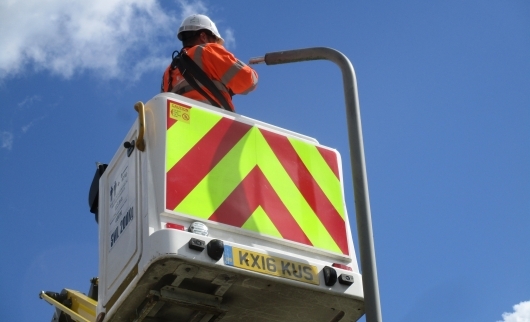 Many of our 56,000 street lights are getting old and in need of replacement, some are more than 40 years old and just don't meet modern standards. The new LED white lights are more effective at directing light onto the roads and pavements, helping to reduce traffic accidents, crime (as well as the fear of crime) and make the streets safer, this lighting also helps with colour rendition and enables true colours to be seen by the human eye this is particularly important for CCTV images. Milton Keynes Council recognised the principle of 'invest to save' and as a result produced a business case to start this project by 'Prudentially Borrowing' £50 million as part of an Infrastructure Investment. The element dedicated to Street Lighting was profiled over 10 years which provided a capital sum of £3.5m in years 1 to 2 and then a budget of £5m for the next 3 years, reducing to £2.5m for the rest of the 10 year period giving a capital investment over 10 years of £35 million for capital column/lantern replacement to LED. The authority has also match funded a bid for carbon offset funding for the conversion of Illuminated Bollards/Street Furniture to the value of £400,000 to give a total project value of £800,000 up until 2018. 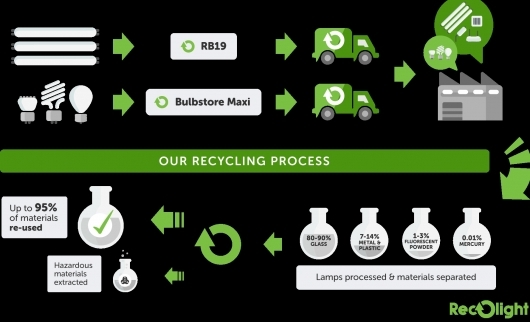 This programme will see up to up to 7,500 street lights converted per year - We have been concentrating on the lighting on our Grid Roads initially as this lighting is the most costly to repair and uses the highest amount of energy therefore we gain the greatest benefit from converting these first both in terms of energy and maintenance. We are now moving to upgrading our lanterns on the estate roads and redways. We are already seeing the benefit of this programme with a reduction in the long term maintenance costs and also reducing the current energy bill and carbon output.